This serie of 144 small drawing (each 13x25cm) is another recall of mountain walks. Each element a small landscape on its own, a moment on its own as experienced during my walks, where every single step, one among many many others has its own quality and is part of the WHOLE. 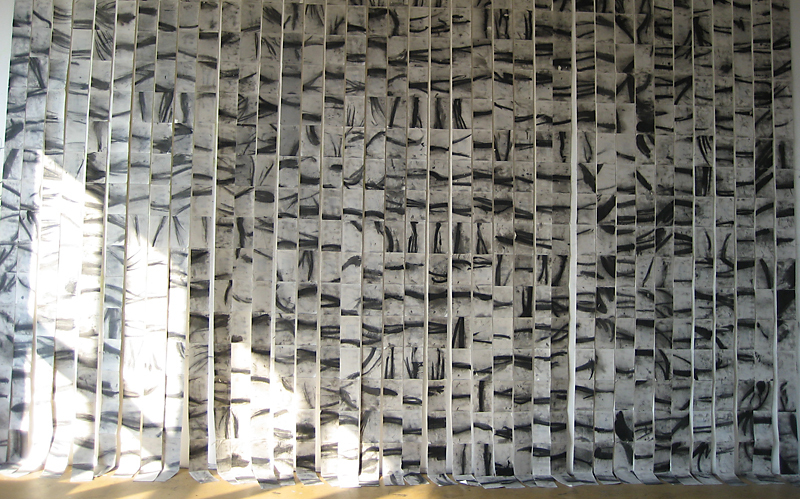 Invitation au voyage, as an installation measuring 460 cm x 650 cm represents the landscapes walked through.